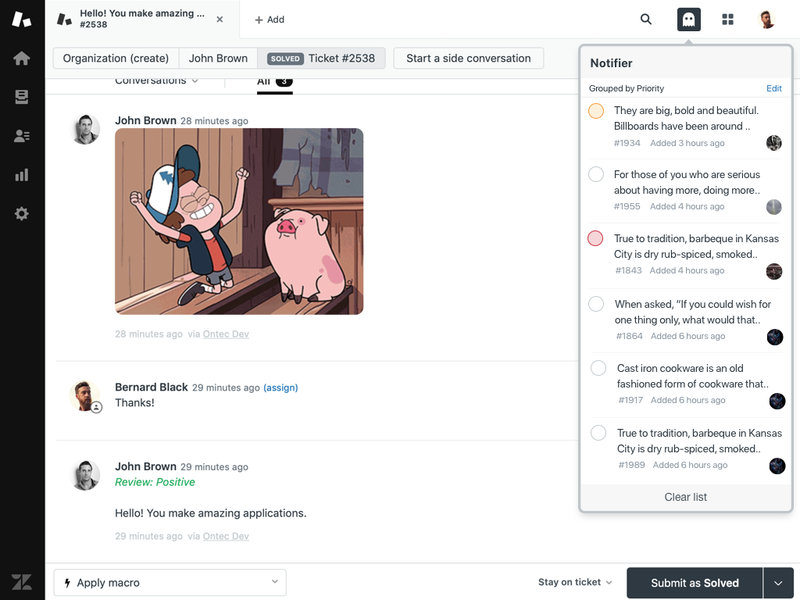 Do you support your customers via messengers where people expect an immediate reply? Do your agents multitask and work with many tickets at once? Do they waste time clicking through ticket tabs to find updates? Don't want to have e-mail notifications, but want to see when a ticket is updated? 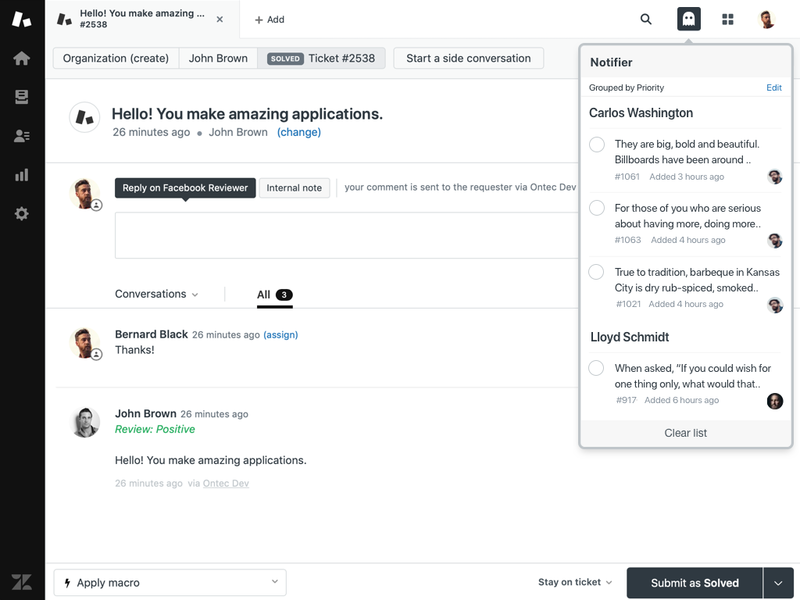 With Notifier, your agents will receive in-browser and web push notifications whenever there are new comments. It's easy to install and doesn't require configurations or external apps. Please get in touch with us at support@ontecapps.com for any inquiries. To receive notifications, click install. Zendesk marketplace will ask for your credit card details, but we will only charge if you decide to keep the app after the free trial period ends. You can uninstall it at any moment. After you finish the installation, click top bar Notifier icon to grant the app required permissions. 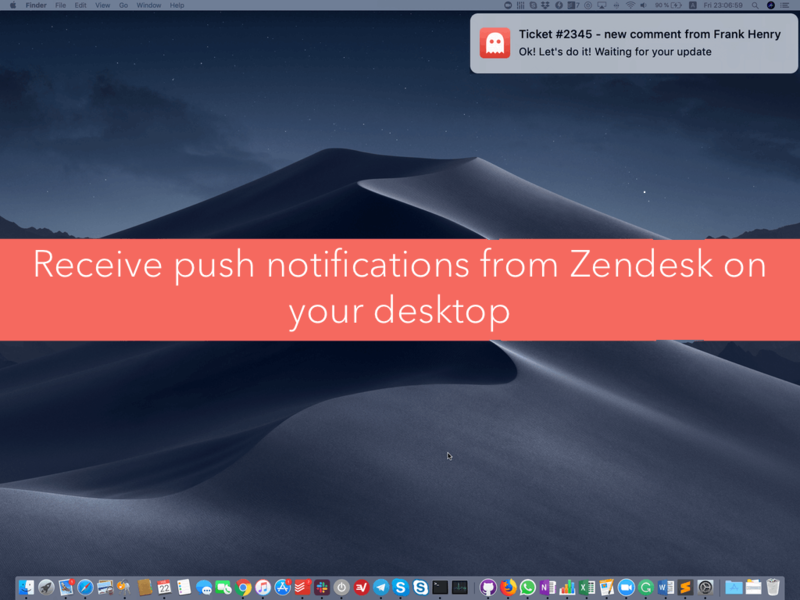 If you wish to receive web push notifications even when a browser is down, click Notifier widget Settings -> allow web push. Please enable your browser to open a pop-up window and follow on-screen instructions. To check how it’s working, assign any ticket to yourself and look for notifications when the ticket is updated by a requester. You can find detailed installation info here. Please contact us if you have any issues with the app.